Adam Tyler is restless he was called to be a pastor but for some reason he never feels fulfilled on his thirtieth birthday he is visited by an angel sent from his mother. When the angel asks him what he wants Adam pulls an “It’s a Wonderful Life” moment and wishes he had never been born but what he doesn’t realize is that even if he had never been born his mother and father would have still procreated only with other people causing there to be two half selves of Adam. This is not just Adam’s story but theirs as well and the only way Adam can get home is to change his own perspective of his life. This was an interesting novel of the power of faith and realizing you are just a drop in a pond but the ripples your life creates are what truly matter. 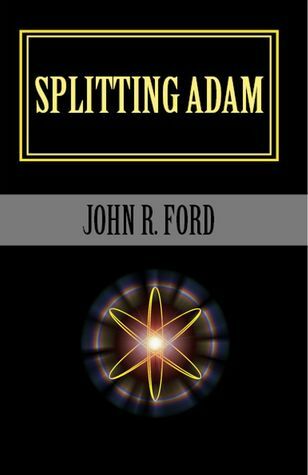 John R. Ford did a wonderful job bringing Adam and his two half selves to life, each one unique and no quite as distant as they may seem at first to each other. Though Victor is a businessman and Chase is a con-artist they all share something at the core of their being that is irreplaceable, goodness and kindness. It’s a heartwarming story that I recommend for anyone to read full of love and cherishing what you have, which is a good lesson for anyone. Charlie has had a rough life his mother died when he was born and when he was ten years old a tornado claimed the life of his father. Now four years later he has been placed with a thief and murderer. Even though things may seem at their worst it is only the beginning of a set of events that will make all the hardships worth it. Charlie meets a set of people who will accompany him on a journey that will lead him to the center of the earth where he will find a magical world full of angels, demons, phoenixes, werewolves and even a ride on a Pegasus. Along the way his friends become his family and he learns the true meaning of destiny. This was an absolutely riveting novel not only was it full of action and adventure but it was a heartwarming story of self-discovery and sometimes how we get to choose our families. Alecia Stone did an amazing job setting the scene and drawing us into the story, the world she created was thoroughly planned and executed so vividly you will have no problems imagining the perils her characters face. 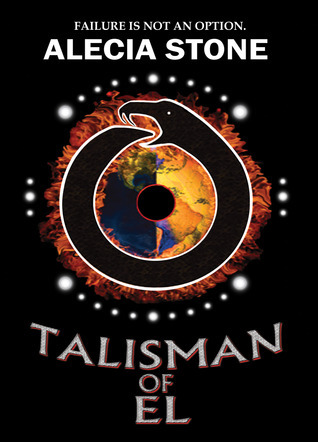 This is a one of a kind novel blending religion with mythology and introducing an idea that is surely original “The Garden of Eden is at the center of the Earth.” I can’t wait until we can follow Charlie on another adventure as he searches for the missing pieces of the Talisman of EL, and we can see what other powers it harnesses. Be sure to stop by http://bookwormrflects8.blogspot.com/ april 29th for a guest post from Alecia Stone! Anne has led a peaceful life with eccentric parents, and then one day a woman comes to take her home to regain her rightful place as Princess Isabella on the planet Vera. 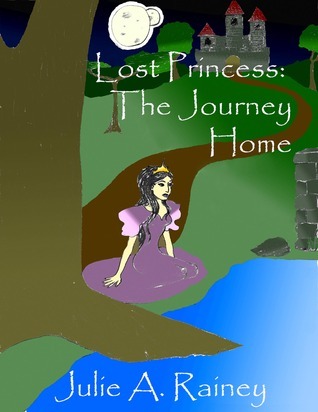 Once she is there Isabella must defeat the evil dictator who has taken over her parent’s kingdom. But this is only the beginning of her story shortly after she defeats Drakeon she is pulled into another adventure that will take her to places she has never imagined. 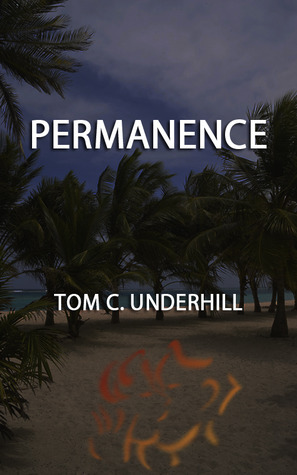 I had a hard time reading this book though the story is interesting, the writing could definitely use improvement. The author seems to stick mainly with the facts and use very little descriptive details though this allows the reader to use their own imagination it can be a bit discouraging in the reading process. There also were quite a few typos that can also be tidied up. All in all with some massive editing I think the author has hit on an imaginative and interesting tale, maybe even two considering how much actually occurs during this one book. Reuben is a young journalist writing a real-estate piece on a beautiful historic home off the coast of California, after connecting with the woman who owns the home and spending the night in her bed he awakes to her screams. The woman has been brutally murdered and the assailants turn toward Reuben next when a giant beast comes to his rescue, unfortunately the beast has bitten Reuben forever changing his life. When Reuben transforms into his man wolf form it seems he can sense the presence of evil and does whatever he can to stop violent crimes from occurring become a widely recognized vigilante dubbing himself as the Man Wolf. Though no one knows Reuben is actually the Man Wolf, with the notice wide spread throughout the world scientists come forth with maniacal ideas and want to run all kinds of experiments on Reuben. 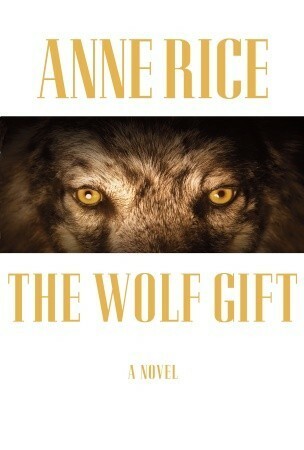 Anne Rice has taken a classic tale and come up with a new and surprising twist, part Superman and part Wolfman this is an interesting tale. The Man Wolf is able to keep full consciousness remaining aware of his actions as he would as himself and scenting on the air the true intentions of those around him. Though at first Reuben is not the most of enjoyable characters, we soon follow him as he changes not only into his part wolf form but into a stronger person in general; in essence we follow along as Reuben goes from a happy go lucky boy to a hardened man. Though the ending was truly lacking in some points, I hope there is a sequel to this one because it leaves so many things up in the air and unfinished.